Otterton sits near the mouth of the river which gives it its name. Between the towns of Budleigh Salterton and Sidmouth, it is just inland of the renowned Jurassic Coast World Heritage Site. 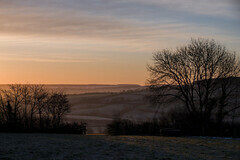 An attractive village in its own right, the parish surrounding it also boasts some fine scenery. 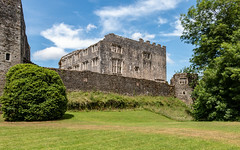 This walk explores much of the splendid local landscape, ranging from the prominent point of High Peak over 100m/330 feet above the English Channel to the floor of the valley of the River Otter. In between, the walk explores a series of quiet, remote and almost forgotten green lanes as well as the magnificent Jurassic Coast. Otterton is served by a regular bus service to and from Sidmouth, Budleigh Salterton and Exmouth. 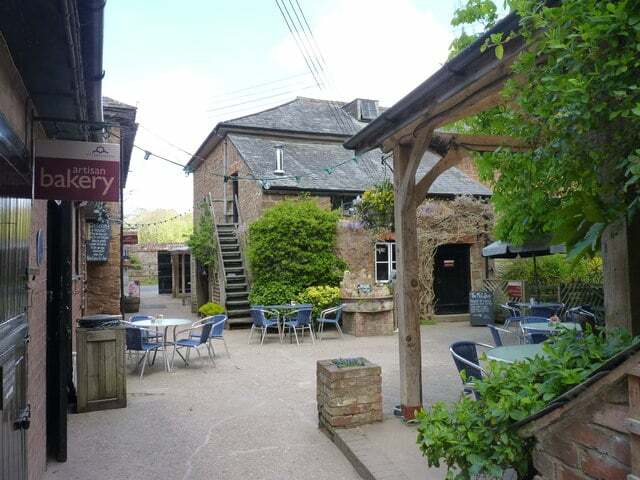 Otterton : shop, pub, buses and toilets; also refreshments at Otterton Mill. Ladram Bay : shop, pub, toilets, refreshments (seasonal) and car park. One long and steady but never very steep climb of 55m/180 feet. Explorer (1:25,000 scale) no. 115 Exmouth and Sidmouth. The walk is described as starting and finishing at Otterton, where there is a regular bus service. 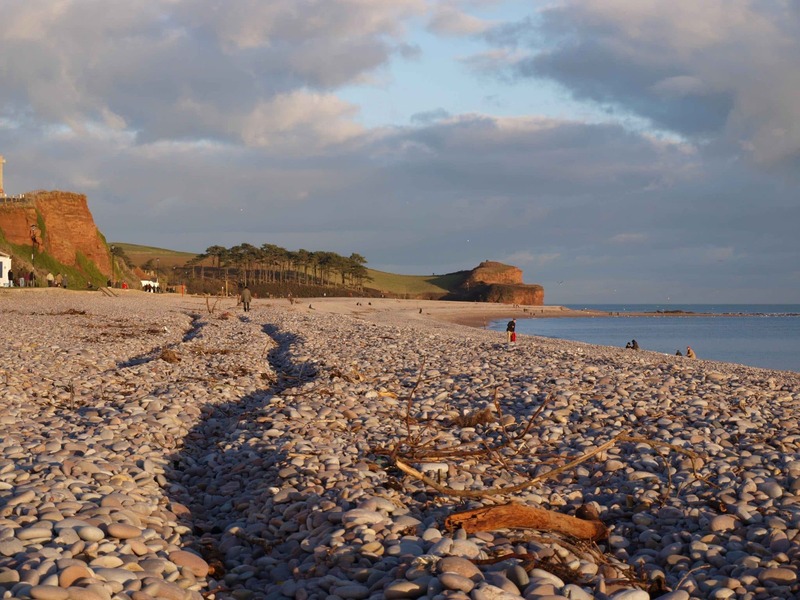 However, it can also be based on Ladram Bay, where there is a large car park and, since there is no public car park in Otterton it is advised to use Ladram Bay as a base if it is intended to visit the area by car. The walk is described as starting in Otterton, although those arriving by car are recommended to use Ladram Bay as their base. Otterton is a very attractive village, the main street lined with thatched cottages with some dating back as far as the 16th century. Further charm is added by the stream running through the village alongside the street. At one end of the village is Otterton Mill. This is a working mill, grinding corn flour for sale and as the basis for its delicious bread and cakes. It also includes a craft centre and café. The current mill dates from the 19th century, but it is built on the site of a medieval monastic mill and is powered by a leat from the River Otter which powered the original medieval mill. The path is parallel to the River Otter, down on the left through the trees. Soon the sound of a weir will be heard and there are glimpses of the river through the trees. The hill above the river is called Anchoring Hill. In medieval times the River Otter was navigable to here and Otterton served as a small port. Anchoring Hill is said to have provided shelter for sailors to moor their vessels in the river. In the first half of the 20th century there was a footbridge over the river at the bottom of the lane, now replaced by the bridge. Sea View Farm is a brick building of the mid 19th century. It was one of the farms of the local extensive Rolle Estate, many of which were rebuilt at this time. The walk joins the South West Coast Path, as the signpost indicates. This is also part of the Jurassic Coast World Heritage Site. 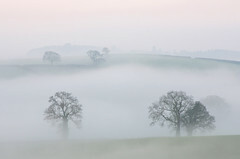 You will pass England’s first natural World Heritage Site, designated by Unesco. 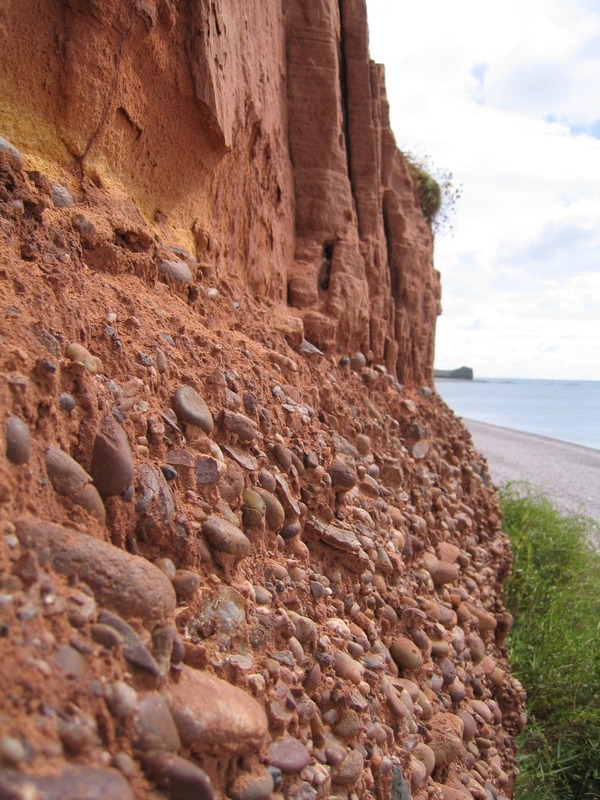 It stretches from Studland Bay in Dorset to Orcombe Point near Exmouth, its importance being that it shows the natural geological progression over 185 million years at earth history in just 95 miles. The walk reaches the woodlands surrounding High Peak, which reaches 157m/520 feet at its highest point. The Coast Path, however, skirts the rear of the highest point and there is actually no view of the sea here. The woodland rises steeply up on the left and there is no access to the cliff itself because of the danger of the unstable nature of the land. On the sea edge at the top, although not accessible to the public, are the remains of an old hill fort, much of it now lost to the sea as a result of erosion and cliff falls. This seems to have its origins way back in the Neolithic period, but was later used both in the Iron age and later still, in the post-Roman period of the 6th-8th centuries. It may well not have been right on the coast originally, such is the rate of erosion. The sea comes into view with, in the immediate foreground, Ladram Bay. 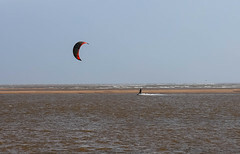 Beyond is the prominent headland of Brandy Head and, in the far distance, if it is clear the coast can be seen receding past the Exe Estuary and on as far as Tor Bay. Although popularly known as the Jurassic Coast, most of the World Heritage Site in Devon is composed of older, Triassic rocks. 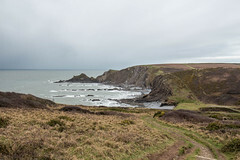 Here at Ladram cliffs are a striking red and they, and the distinctive sea stacks in the bays here, are composed of Triassic sandstone, a rock which was laid down in a great river which once flowed across this part of Devon. Along the coast is Brandy Head, its name reflects the importance smuggling once had on what was a remote coast in the 17th and 18th centuries. The pillars are associated with what was known as Otterton Park, part of the Rolle Estate. 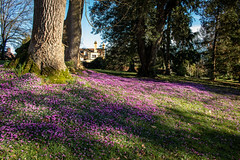 They date to the mid-19th century, when much building and renovation was going on around the Estate. Clamour Bridge, probably derives its name not from any shouting but from an earlier bridge formed by a stone slab which would have spanned the river here. Such slab bridges were often referred to in Devon as clams or clammers. The River Otter gets its name from the animals which used to frequent it, and this name dates back to Saxon times. In more recent years otters virtually disappeared from the river, but they are now making a welcome comeback. However, there is little chance of seeing one of these shy nocturnal creatures. More likely to be seen is the brilliant flash of a kingfisher, these beautiful birds being relatively common here.